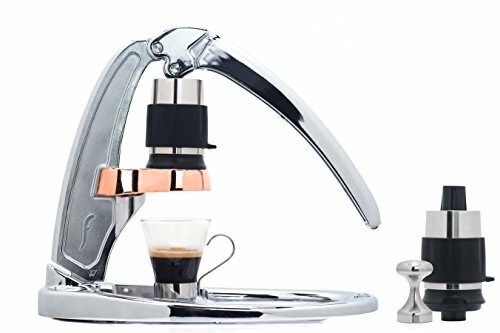 The Flair Signature is our flagship model of the Flair Espresso Maker. Made with the same high quality materials - like stainless steel and aluminum - as our original Flair, the Signature models are defined by an extra hand-polishing process needed with the chrome, matte black and copper finishes. All Flair Signature models come ready with a stainless steel tamper and our Easy-Clean Portafilter to produce the very best in manual espresso. If you have any questions about this product by Flair, contact us by completing and submitting the form below. If you are looking for a specif part number, please include it with your message.